Nigeria’s Foreign Ministry on Monday said that the Immigration attaché, Mr Habibu Almu, who was assassinated in Khartoum, Sudan, May 10, was murdered by a female Sudanese of Nigerian origin. 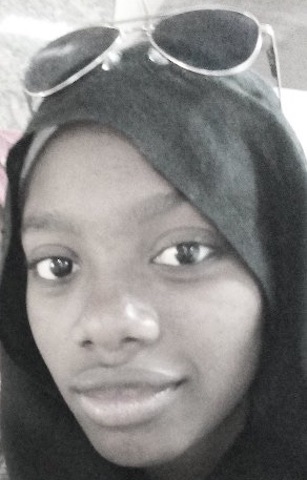 She was identified as Miss Inas Khalid Maikano. On her Facebook page, where she last made a posting in April 2016, she wrote her name as Enas Maikano. She said she attended Prime College in Kano and now lives in Khartoum Sudan. The Ministry’s Spokesperson, Dr Tope Elia-Fatile in a statement in Abuja alleged that the suspect, a student at the Sudanese-Canadian College in Khartoum, murdered Almu in his official quarters on Thursday. He said that the suspect had been arrested and detained by the security agency in Sudan. “Consequently, after several arrests and investigations by the host authorities, it was established that the deceased was stabbed to death. “The suspect who is a student of Sudanese-Canadian College in Khartoum is a Sudanese of Nigerian origin. “It was discovered during investigations, authorities discovered that the suspect had stolen some of the deceased personal belongings including cash,” he said. According to him, the suspected allegedly confessed committing the crime and is being held in custody. “Our Mission in Khartoum will continue to monitor and follow up the case to ensure that justice is done on this matter.